An art form that originated about 400 years ago in the holy town of Nathdwara, Pichvais is an intricate style of painting that depicts tales from Lord Krishna’s life. 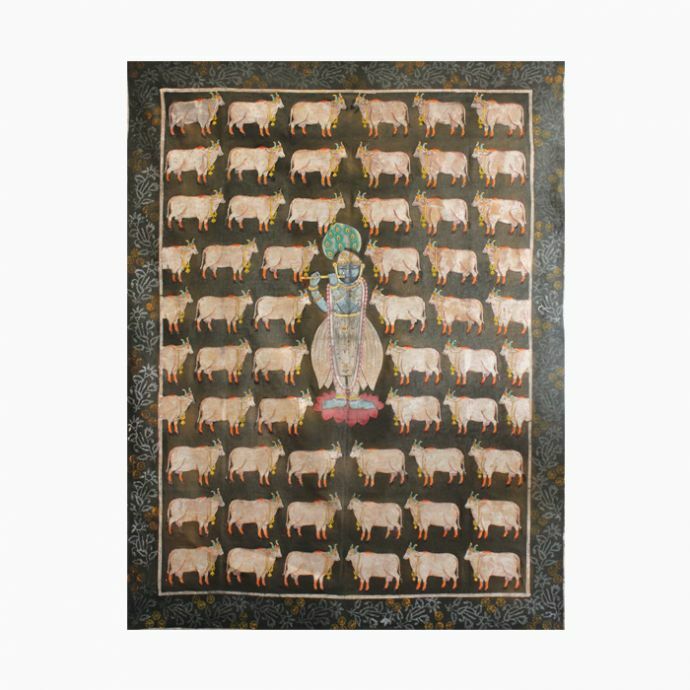 The name “pichvais” derives from the words, ‘pich’ meaning back and ‘vai’, meaning wall hanging; these were created by the members of the Pushti Marg sect in the 16 th century. In veneration of Lord Krishna and used as adornment in temples, Pichwais weave an untold magic of the Lord’s life with pleasing colours and beautifully depicted serene expressions, or ‘bhav’. ‘Shrinathji’, a child manifestation of Shri Krishna, is a recurring subject in most Pichwais. 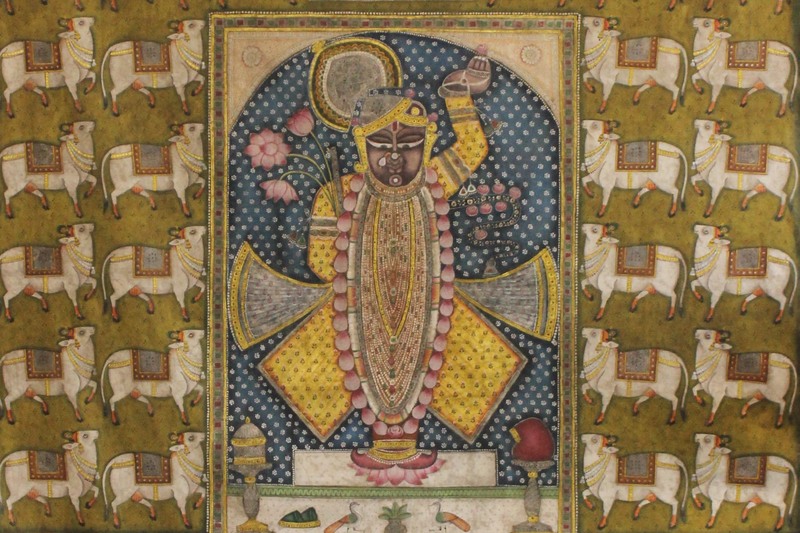 The legend of Krishna, safeguarding the people of Vrindavan against a thunderstorm, by lifting the Govardhan Parvat on his little finger, is indicated in this painting with the deity’s raised left hand. The right hand typically rests on the waist or is lowered in an act of blessing.